The Safety Lab is focused on improving the lives of women and girls living in underserved communities in the Cape Town area where they are at high-risk of experiencing Gender-Based Violence. Victims of GBV in these areas face a dearth of resources, legal, medical and psychological, and a seemingly entrenched culture of impunity for perpetrators, perpetuating the cycle of violence. The Lab’s interventions in this space concentrate on behavioural change on a community level, and improving the capacity of existing grassroots organizations to monitor and evaluate their work, in order to instigate evidence-based, responsive projects. 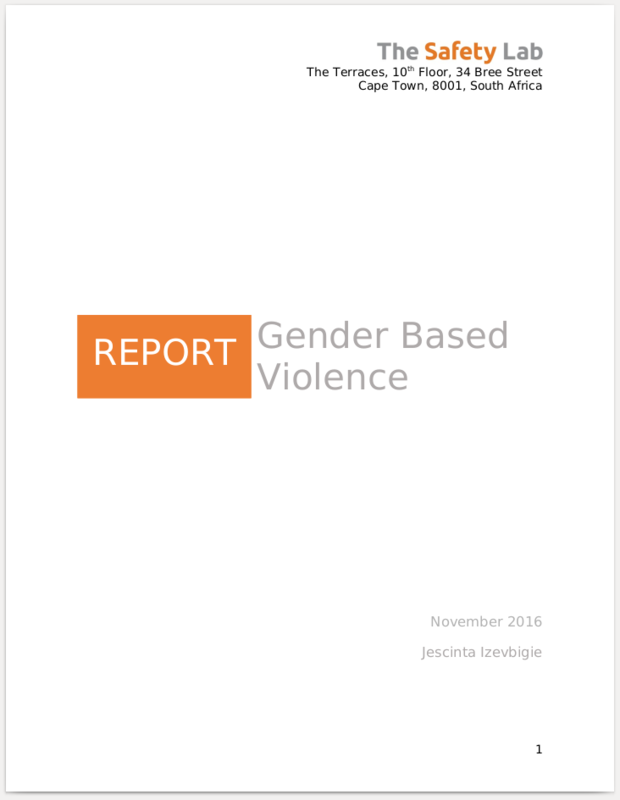 In 2016 the Safety Lab investigated the reality of gender based violence in South Africa with a specific focus on the situation in Cape Town. The difference between the official rhetoric and reality on the ground, the report finds, stems from the reality that there is a stark divide between the processes happening on a macro-level, within legislative bodies, the meso-level, within national institutions, like South African Police Service (SAPS) and NGOs, and the micro-level, within community structures and normative customary practices. Even though legislative frameworks and protective instruments are established at each level to tackle GBV, the overall lack of cohesion across the levels is dangerously continuing to do more harm than good.